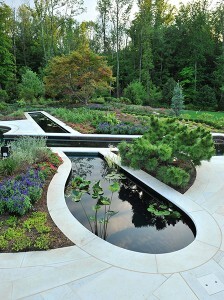 COMPANY: Cipriano Landscape Design, Mahwah, N.J. 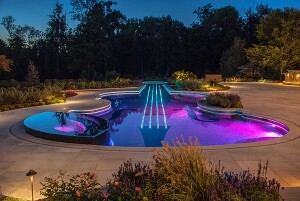 THE DETAILS: To the company’s knowledge, this is the first project ever to incorporate glass tile and fiber optic lighting in a swimming pool design. 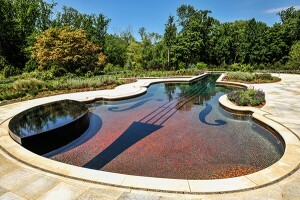 It all started with the client’s vision for a pool in the exact shape of a 1700s-era Stradivarius violin. 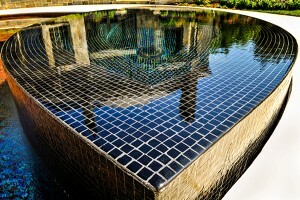 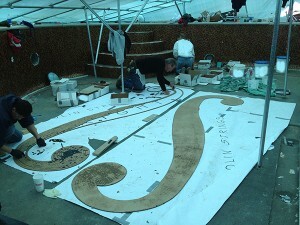 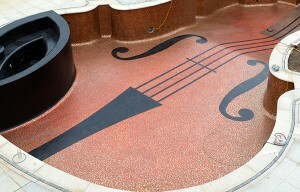 The entire interior of the pool is finished in glass tile as a means to replicate a violin’s wood stain finish. 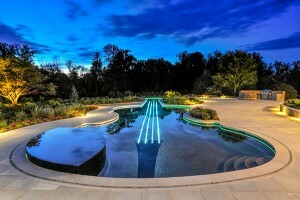 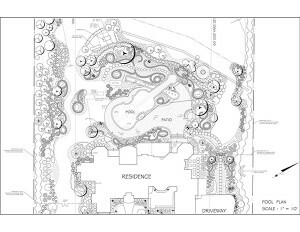 Cipriano Landscape Design created 15 custom tile blends for this project. 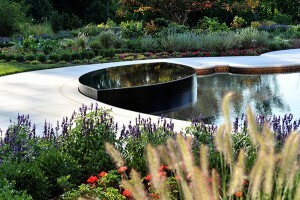 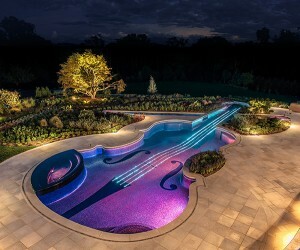 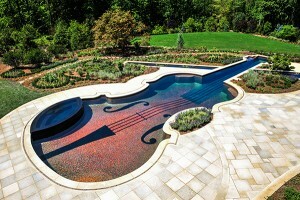 The koi pond, which depicts the bow of the violin, intersects the pool. 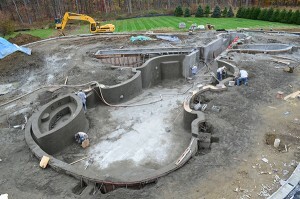 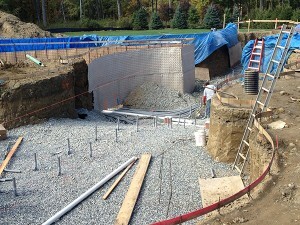 To create a more fluid transition while keeping the koi and pool water separate, the company installed clear acrylic panels directly into the gunite shell of the pool. 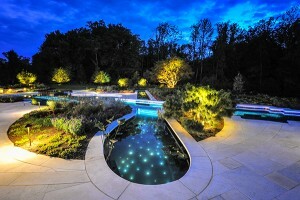 By designing and installing the majority of pool patios, dining patios, outdoor kitchen and bar on one side of the swimming pool, the team was able to properly scale these elements to the pool and home.